Milford is a wonderful little town – the town and its environs boast a population of around 13,000. Some might ask, “….so how is that rural?” The answer would be, we’re at the end of the line here, over 100 miles west of Cardiff, and in a rural county with fewer services and transport links than areas which are more connected. Although a town of great character, Milford has seen its fair share of change that has not always been easy for the local people to absorb. The fishing industry declined and the town centre itself has, like many others, become quieter. However, the petroleum industry thrives here, partly due to the world-class depth of the town’s natural harbour, and the marina has become a focal point for leisure. 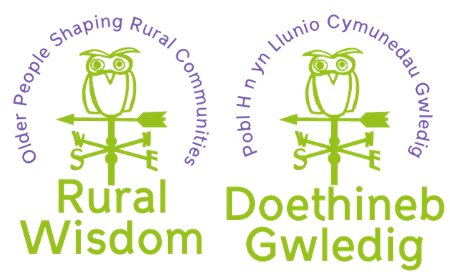 On May 9th, the Rural Wisdom project kicked off for real when a number of local people and interested organisations gathered together with the National Development Team for Inclusion, our evaluation partners. The idea was to discover the future vision of the town according to folk living in Milford and then formulate a plan around how to realise as much of the vision as possible. This was a great session – loads of ideas emerged and I knew we would be able to do something practical with a number of them.